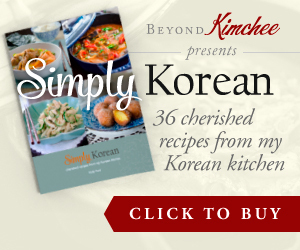 You are here: Home > Archives > Recipes > Western Recipes > Desserts and Baking > Gingersnap Cookies, do you believe? 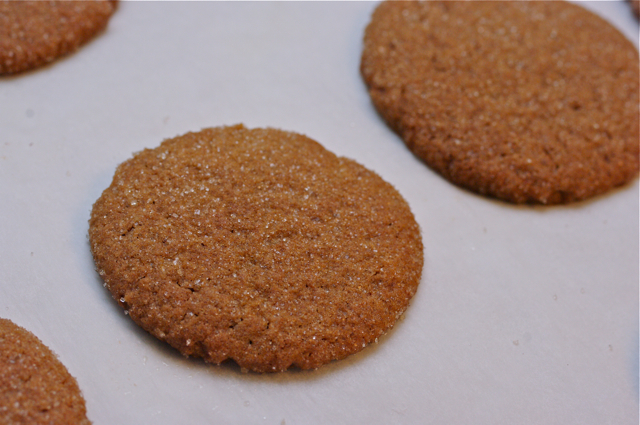 Gingersnap Cookies, do you believe? 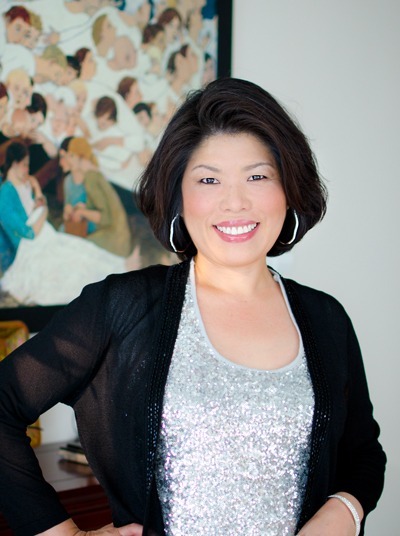 “Mommy, Santa is not real, isn’t he?” My 10 year old girl asked me the other day while I was driving to take her to the dance class. I knew that this moment will come someday and I have to give an answer at some point of her young life, but never come up with a good way to respond. Some might tell their children that Santa is not real and his existence is all made up by grown-ups, but I hesitate to say that to mine. Of course I’ve never seen Santa myself but I do believe in him, in my heart. Believing in something can bring miracles. It is not important seeing with your own eyes to believe. It is about how pure your heart is, and follow what it tells you. Children have pure hearts like blank canvas. They believe the power and the spirit of Christmas even without seeking the sign or going into intellectual logistics. Because of their pure innocence it cures their aching hearts, brings them smiles, and delivers them hopes for the future. I somehow lost some of that pure heart in me a long time ago. I answered to my daughter that evening in the car, “I’ve never seen Santa myself so I can’t not tell you whether he is real or not. But I can tell you this. I got older and distracted with many things in life. I started not to believe him anymore and that’s when I lost my magic in Christmas. I think Santa never visited me ever since. If I have believed him I bet he would still have visited me.” My girl did not say any word after that. 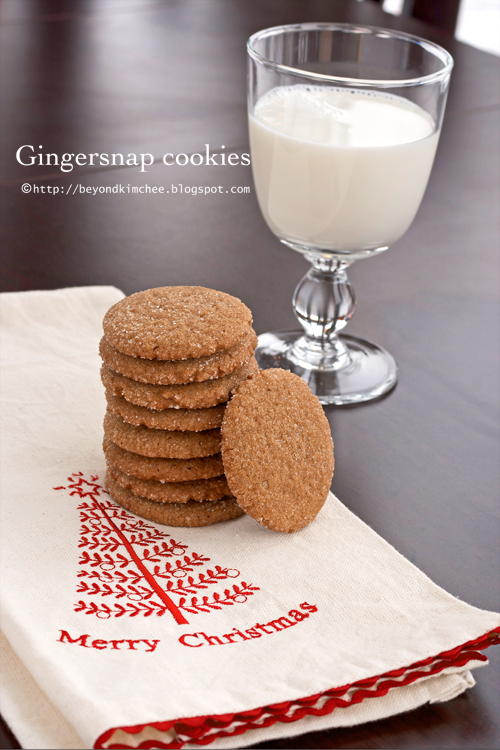 I like to make gingersnap cookies in holiday season. There is nothing like smelling the fragrance of spice coming out of oven during holiday. This is one of my favorite Christmas cookies and my kids love them. It is not that spicy compared to other spiced cookies and you can variate cooking time depend on the texture you prefer. This is not the chewy kind of cookie recipe, although it is not too dry either. Somewhat crunch on the outside and soft inside. This recipe is from the Joy of baking. You know what? When you carry the the spirit with you, everything turns out better somehow. 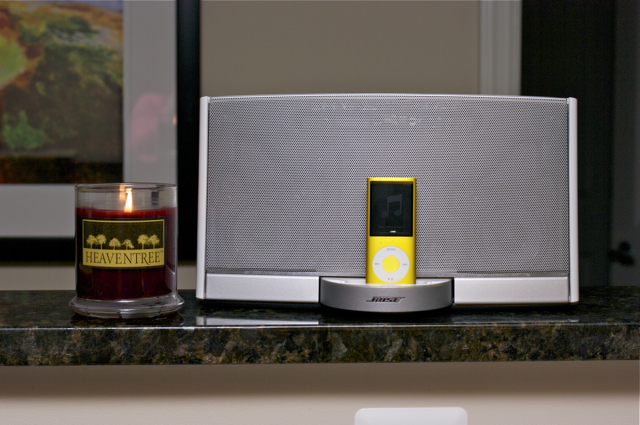 So turn on your favorite Christmas music and let’s get in the mood! Grab the supplies for this recipe. 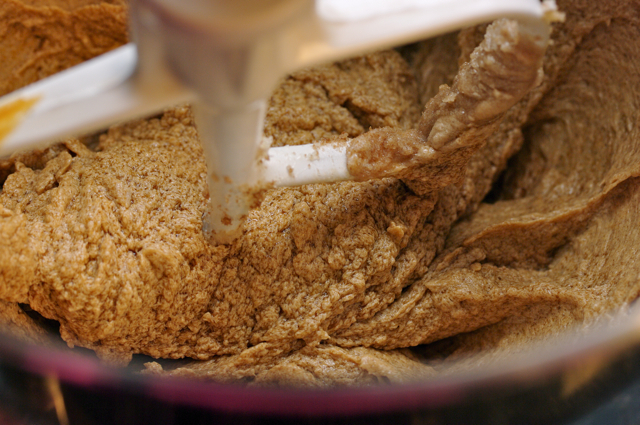 First sift flour with ground clove, cinnamon, ginger and salt. Set aside. 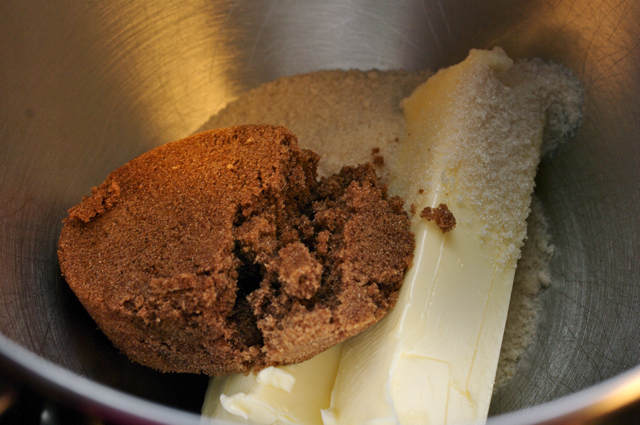 Dump butter and sugars in a mixer. Beat them in a medium speed until fluffy scraping the bowl once. Add this sticky gooey molasses, the vintage form of sweetener. Be careful not to drop this jar on the floor. It will be a red alert natural disaster if you do. Add vanilla and an egg. Can’t imagine baking without the help of chicken, can you? 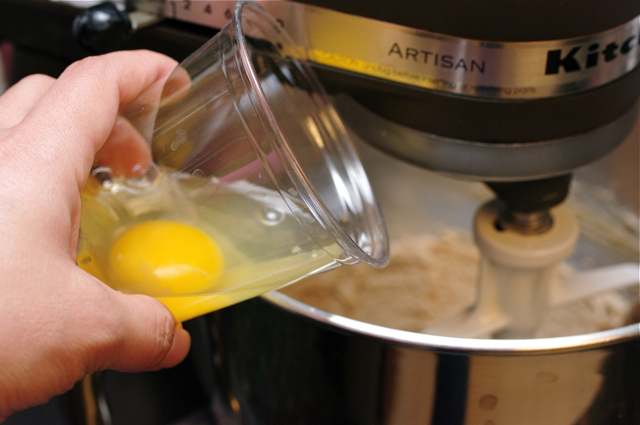 Reduce the mixing speed to low and slowly add flour. Mix until they get incorporated. 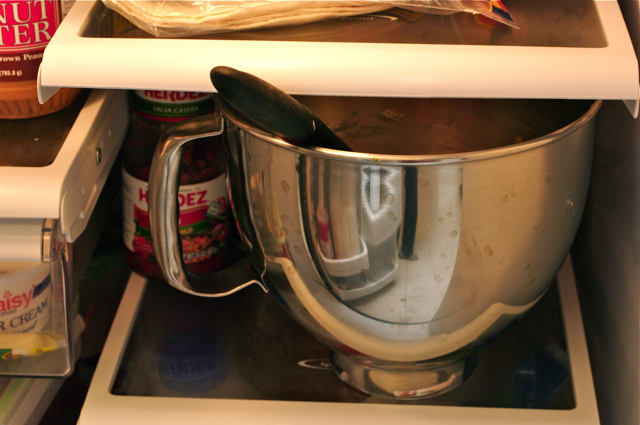 You need to chill the dough for 30 minutes in the fridge, or put it outside somewhere cold if your fridge is full of stuff. 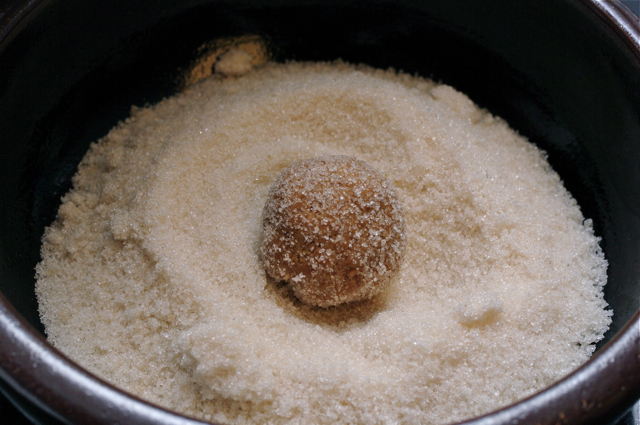 Roll the dough into 1″ balls, coat them with granulated sugar. I used organic granulated sugar this time. I sometimes use turbinado sugar and it gives nice crunch. 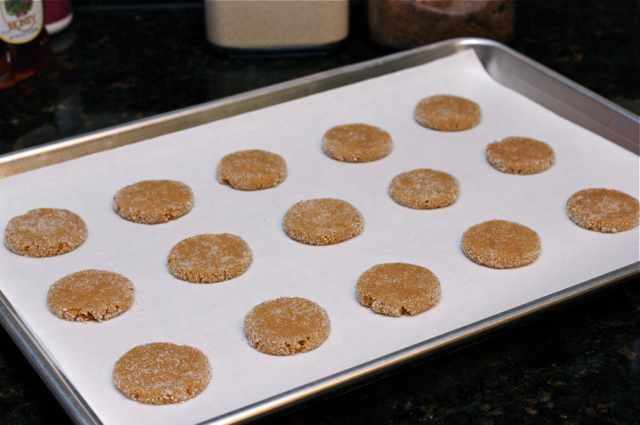 Place them on the parchment papered baking sheet, spacing 2″ apart. Using the flat bottom of glass, press down each balls to make disks about 2″ in diameter. 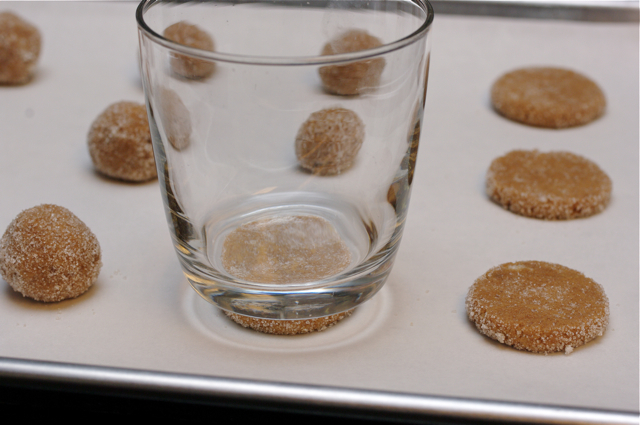 You want to dip the glass bottom in sugar each time to avoid sticking. Ready to bake in preheated 350º F oven for 12-15 minutes. I like mine baked for 12 minutes. It was just right texture for crispy outside and soft in the middle. Cool them on the wired rack completely. These gingersnaps freeze beautifully which I love, so I can always take some out to put in a pretty gift bag to handout whenever I need. My 7 year old wrote a letter to Santa with his wish list. He is a believer and no one can tear down his world of wonder and magic. I want him to keep his world as long as he can. 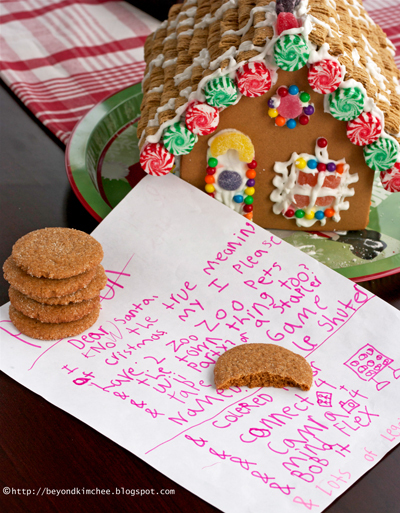 “Mommy, how can Santa come in to our place, we don’t have chimney and we live on the 11th floor?” he asked. “I am sure he will find a way. Do you remember he came to our house in Hong Kong last year? We lived on the 40th floor, you know.” I replied. 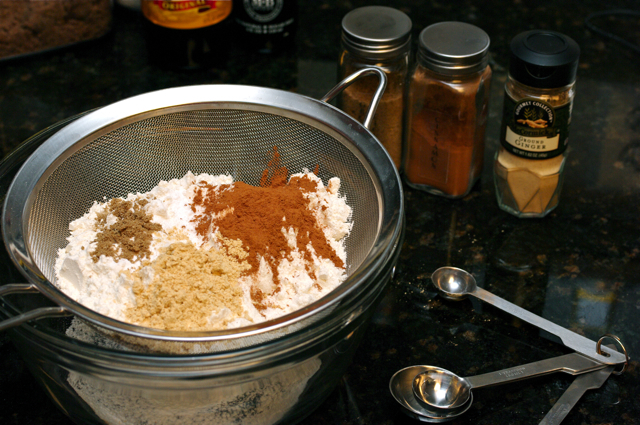 Sift flour, cinnamon, ginger, clove, and salt in a bowl, set aside. 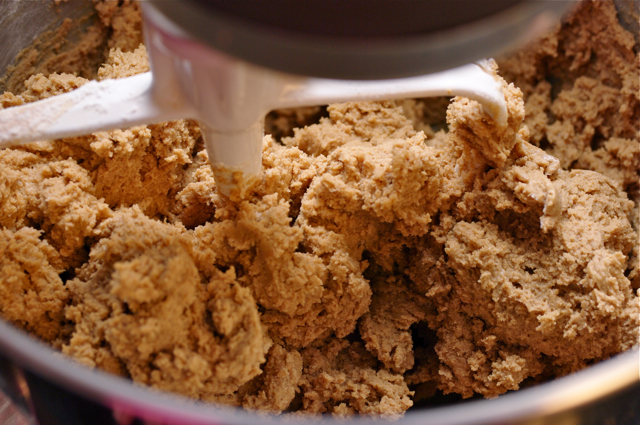 In a mixer with paddle attachment, beat the butter and sugars on a medium speed until light and fluffy. 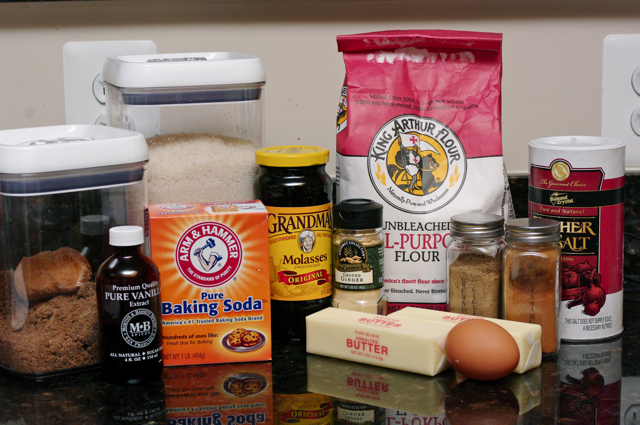 Add molasses, egg and vanilla and beat until incorporated. 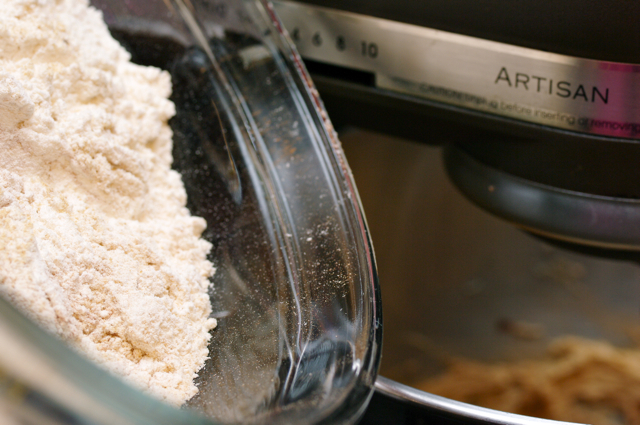 Turn the mixer speed to low, add the flour mixture and mix until combined. 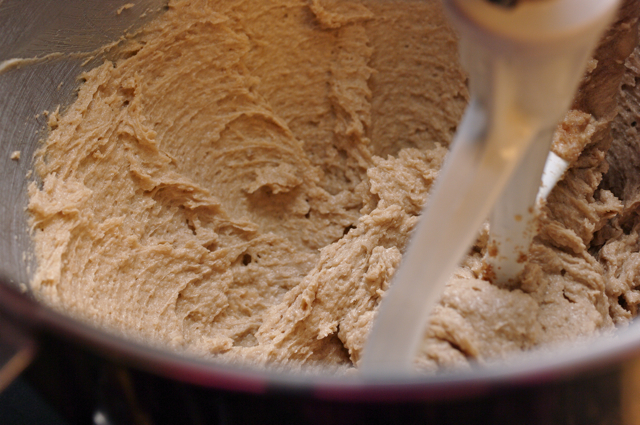 Chill the dough for about 30 minutes or until firm. Preheat oven to 350º F (180º C). Line baking sheets with parchment paper. Pour 1 cup of white granulated sugar in a shallow bowl. 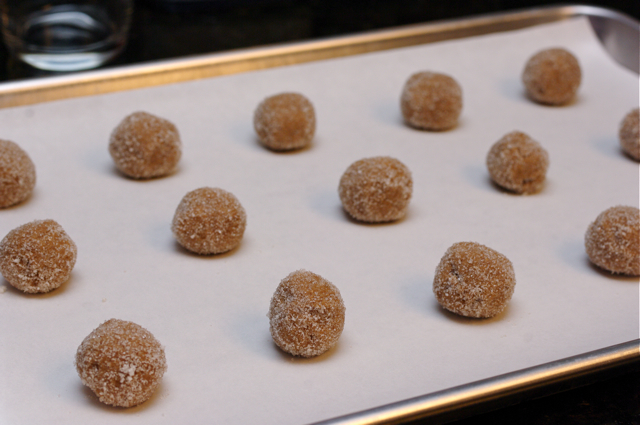 When the dough is chilled roll into 1" balls, then roll the balls into sugar to coat them thoroughly. Place them on the baking sheet, spacing 2" apart. With the flat bottom of a glass, flatten the ball to make disks, about 2" in diameter. Bake for about 12-15 minutes or until the cookies feel dry and firm on top. The longer the cookies bake, the more crisp they will be. Cool on a wire rack. They freeze beautifully for longer storage. I've always loved these cookies, but I've never made them before. thanks for the recipe! Do you know if I can find molasses here in HK? 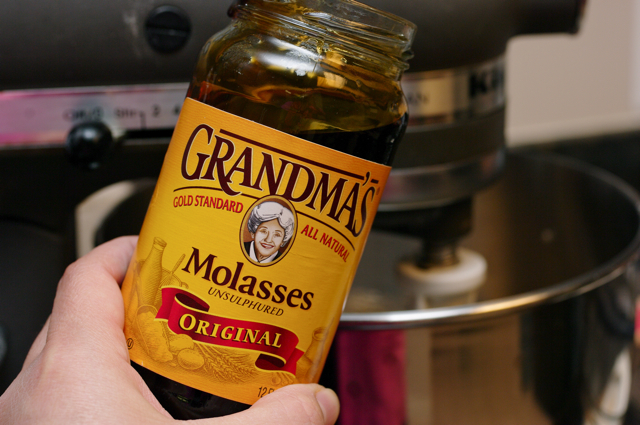 Yes, I've seen the same Grandma's molasses at many places like Wellcome, City super, Oliver's, or Taste, etc. How is everything going there? I miss all of you. Very very good. 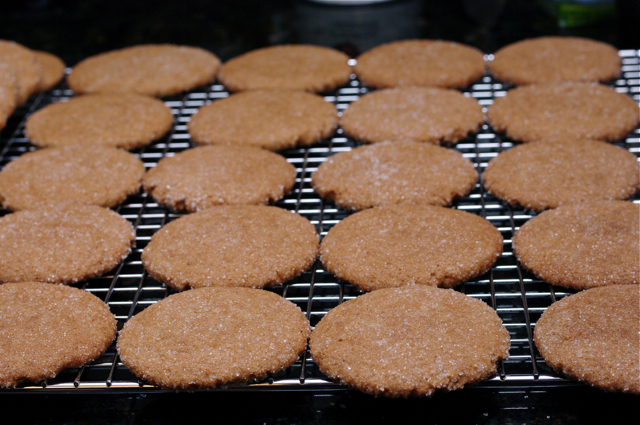 The first ginger snaps recipe which actually tasted like what I wanted it to taste. Thank you. I love the way you explained Santa's existence: it is the best and wisest way I've ever read. And there is a really good lesson there, even for grown-ups, about "not losing your pure heart". I'm certain you still have it, even though you say you've lost it a long time ago. I shall be trying this recipe out too. Oh... whatever happened to my resolution to eat less sweet stuff?